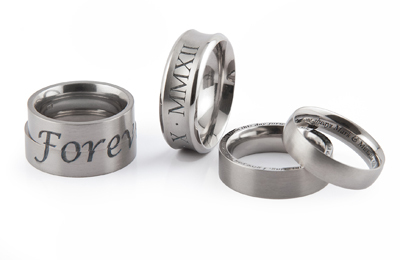 Established in 1980, Prism Design is a family business that has grown over the years to become recognised as the UK’s leading provider of Titanium jewellery. The company also has a history of positively embraced technology: introducing CAD / CAM some 10 years ago, to boost their in-house design and manufacture, and more recently purchasing the latest in Laser Marking technology from Rofin. In this article, Barry Milburn of Prism Design explains the benefits that Laser Marking has brought to the business. Barry, and partner Sally, company founders and designers, are both actively involved in the business on a daily basis, creating new designs, promoting existing ranges, and overseeing every aspect of the company and their customers, which include over 250 UK jewellery retailers. The workshop, which has a total of 15 employees, is located in Wiltshire and comprises a range of specialist machinery tailored to production of Titanium pieces, including bespoke shaped wedding rings. 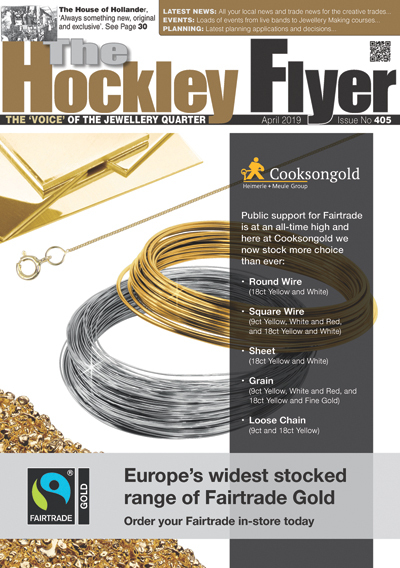 Overall Titanium jewellery has grown to become a mainstay of the business. The company also specialises in Platinum, Palladium, Gold and Silver jewellery, for both men and women, manufacturing a wide range of cuff links, chains, bangles, drop earrings, stud earrings and pendants. Over the years the business has changed from the traditional model of design, manufacture, display, and sell to that of responding to individual customer requirements, hence the need to produce more bespoke and personalised pieces. This growing demand for personalisation was instrumental in the decision to investigate Laser Marking. 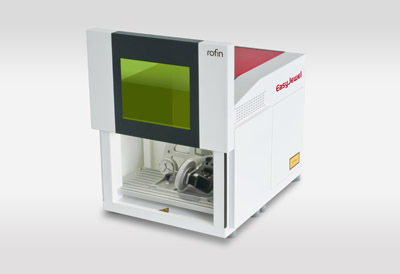 The Rofin EasyJewel uses advanced laser technology and marking software to enable new applications and raise laser marking and engraving to the highest standards. The latest EasyJewel, with ‘Enhanced Mode’ has been specifically configured for circumferential seamless designs and large components requiring homogeneous surfaces. The majority of materials used in the jewellery industry including precious metals, alloys, polymers, and ceramics can be processed. The rugged construction and ease of operation are beneficial for any jeweller.